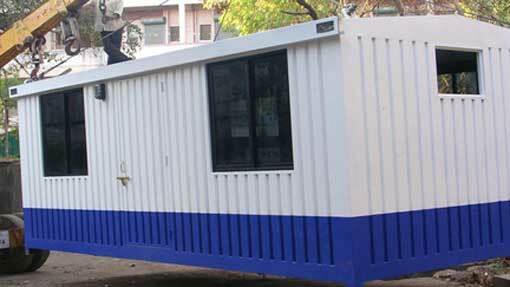 SAMAN POS India Pvt Ltd is a prestigious supplier of prefab Container cafe in India and abroad. Our robust growth over the years is the result of the relentless devotion we have presented towards our clienteles. As an organization, we share our respected commitments to our customers and our environment. Hence, we have started our journey acclimating a sustainable and eco-friendly manufacturing process. Our container cafe offers a low cost and environmental-friendly substitute for brick and mortar infrastructures. In return, you receive a building that comprises the features of a traditional cafe without any compromise in safety, amenities, durability, and outlook. The encroachment of technology and the necessity for availing rapid services considerably contributes to the rising demand for container cafes across the world. 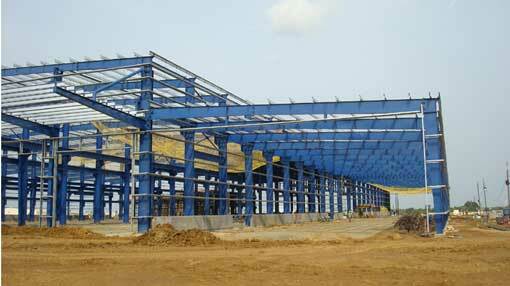 We at SAMAN POS India Pvt Ltd are among the rare organization who deals with supplying premium grade prefab structures to leading organizations in India and other parts of the world. Even though several factors come into play while selecting a cafe, the real reason for a customer is always about developing a decent restaurant and café. Our prefab container cafe carries the same aesthetics and benefits of a traditional structure. 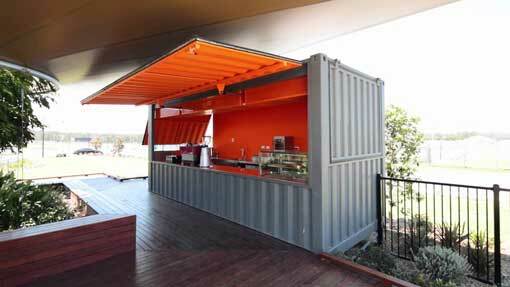 Our container cafes are manufactured using Industrial grade ACP Materials and enhanced with lavish supporting raw materials. Their customizable features enable you to alter their outlook without any hefty investment. Our container hotels come in various forms, sizes, layouts and spaces, allowing you to select the right one as per your necessity. Whether you want to build a small bistro or a 5-star luxury hotel, we can help you with the right materials without wasting your valuable time. Luxury plays a crucial part to appeal larger crowds towards your cafe. Everyone like to experience the royalty and a mesmerizing ambiance as soon as they step inside a cafe. At SAMAN POS India Pvt Ltd, our crew of architects and engineers helps you with customizing a container cafe that exhibits the same features as a real cafe. Our modular containers provide interior decorators the independence to use their thoughts. 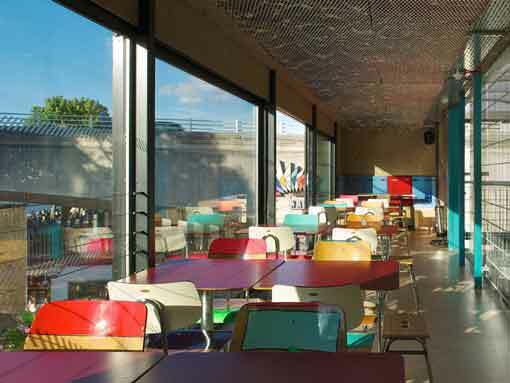 As the container restaurant bear a resemblance to the same as a traditional cafe, you don’t need to employ any high-class interior designers nor pay any broad cost. Most clienteles in India prefer traditional structures due to their safety structures. Whether it’s due to lack of awareness or ongoing myths, but pre-engineered buildings own the muscle to endure the tough Indian weather including natural calamities like flood, earthquake, and tornado. Different to traditional constructions, constructors of prefab containers have to follow a more arduous safety protocol, which makes them extensively safer. We at SAMAN POS India Pvt Ltd follows a rigorous quality-check procedure during obtaining the raw materials and manufacturing goods. The procedure involved a step-by-step scrutiny of the products via our procuring officers and only those products are offered to our customers which pass the test. 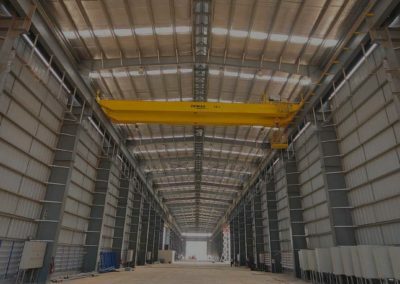 As a foremost supplier of portable buildings in India, we have established an active partnership with all chief raw material providers and manufacturers across India, which qualifies us to acquire quality products at a lower price. As a result, we are capable to provide first-class quality products to our customers at a lower margin than our opponents. Besides, the cost of developing a traditional brick & mortar hotel is ominously higher than mounting a pre-engineered container cafe. Also, if you add the operational cost associated with traditional buildings, you can envision the profound hassle a business has to undergo. Our budget-friendly container cafe provides an equivalent prospect to all clients who want to established their journey in the timeless hospitality segment. With years of familiarity in the field, we assimilated the skills and technology to manufacture high-end pre-engineered buildings at a faster rate without any compromise in quality. Our pre-manufactured container buildings help us to present a cost-effective option for our customers by eradicating the cost linked with traditional structures. Our modular container cafe is easy to install, transportable, lighter in weight and extremely durable. Installing a fully developed cafe requires only a few days while in traditional buildings, it may take up to months & years. Our pre-engineered container cafe comes with pre-manufactured structures, which only needs assembling rather than building from scratch. You can propose us your prerequisites and we will manufacture them and have them transported to you within your essential period. We can have them tailored for installing air-conditioning vents, heater, chandelier, etc. Our durable containers come with smooth wooden finish, which gives them a graceful and refined outlook. It’s not just the structure development that cost your business a fortune, but also the high-maintenance charges you incur on a periodical basis. Our container cafe from SAMAN POS India Pvt Ltd are quite durable and are efficiently engineered to withstand regular wear and tear. 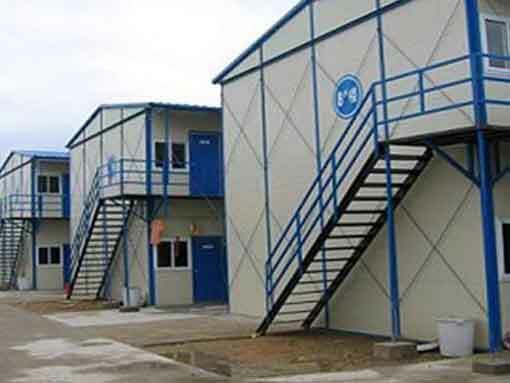 Compared to traditional structure, our container hotels are manufactured to retain their natural sheen and goes a long time without any substantial maintenance. 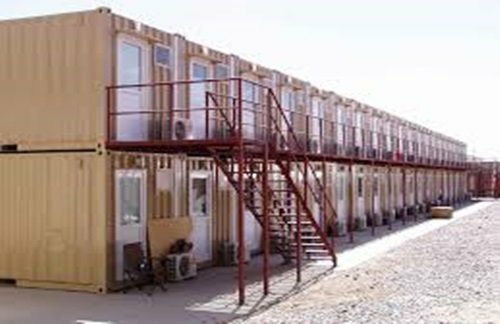 Our customized pre-engineered container hotels are easier to install and disassemble. You are not required to follow a critical technical, legal and cost-inducing technique that contains in a traditional renovation. 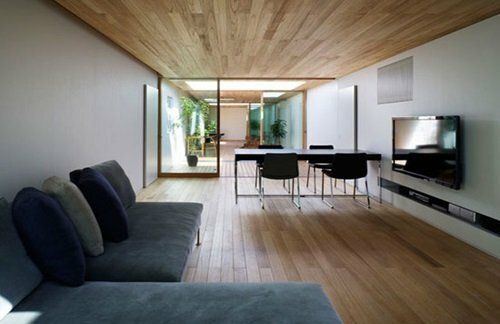 You can add or dismantle extra space from the existing structure and modify them as per your needs. 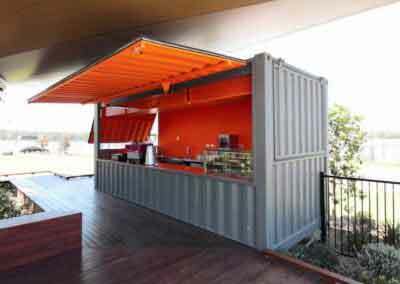 This feature of our container cafe comes at a great help during your business expansion phase. If you are looking for buying a Premium Container cafe, then send us an inquiry through email or give us a call. Our customer care professionals will be happy to assist you and guide you through the process. Feel free to contact us and get the best quote for your dream hotel. SAMAN POS India Pvt Ltd is a leading supplier of eco-friendly light steel prefabricated farmhouse in India and overseas. 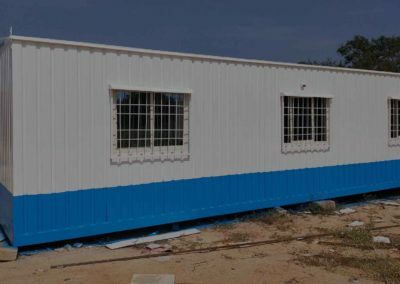 Since 2017, we have established ourselves as a prominent supplier of prefabricated containers, portable cabins, Prefab offices, pre-engineered sheds, mobile homes and many more. Our prefabricated structures follow a stringent manufacturing process at a reliable designated factory, developing high-end premium components and combining them to form a finished structure. When compared with the basic method of constructions, our methods offer numerous advantages for both parties, i.e., building owner and the construction company. Since decades of developing countries has adopted these technologies and enjoying the new form of infrastructural development. We at SAMAN POS India Pvt Ltd has set our journey towards the futuristic modular structure and trying to make this world a better place. It’s practically impossible to perform a structural change in traditional structures, without going through a demolition or deconstruction process. which again requires hiring manpower and a hefty investment. Our prefabricated farmhouse structures include an amalgamation of various individual parts, allowing users to change the design and layout. With our prefabricated farmhouse, you can open the can of imagination and transform our modular structures into your desired structure. You can easily add or remove parts of your farmhouse to adjust the space allotment. As per your requirement, you can adjust your space allocation by adding or dismounting parts in your structure. If you can’t tolerate hours of irritating drilling and construction noises, then imagine how it might be affecting the people nearby. Moreover, it also promotes pollution of soil, water, noise, and water. In traditional construction, each and every work takes place on the site. Regular allocation of labors, securing raw materials, supervision becomes a living nightmare for the builder. 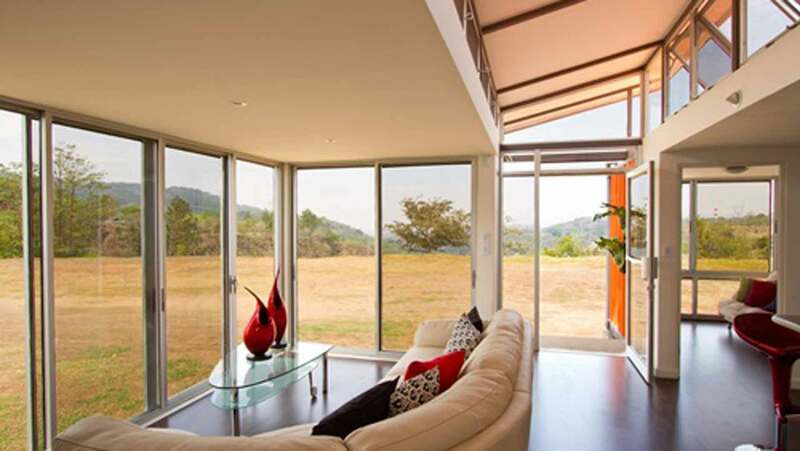 Choosing our prefabricated farmhouse offers you relief from all the above process. As all the parts of prefab structures come manufactured from the office, it eradicates the need for onsite construction. The only task left to do is to assemble the parts into a full-fledged farmhouse. The expenses involved during a traditional construction includes the price you pay for raw materials, workers, transportation of raw materials, utilities, and so on. Also, you have to pay for land allocation, land permit etc. prefabricated farmhouse, on the other hand, doesn’t go by these rules. Constructing prefab structures don’t require any labor-intensive work, rather they take around 3-6 days for a complete installation. Our prefabricated structures are manufactured off-site, thereby eliminating the cost of raw material allocations and labor costs. Sometimes it’s not just about financial advantage but aesthetic appeals as well. 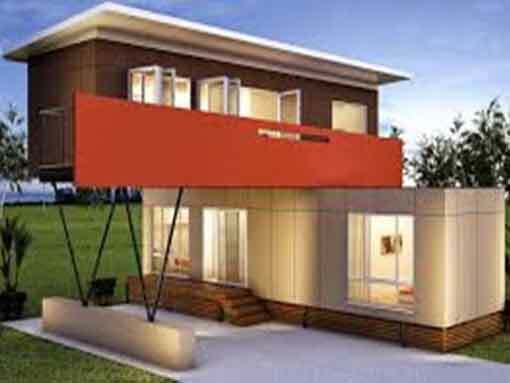 Manufacturers are legally bound to follow a strict code while developing the prefabricated building. They are also enforceable to underwent a stringent quality check and test of their components before making them available for the customers. The presence of such strict manufacturing process in a prefab building makes them more reliable compared to a traditionally built farmhouse. The absence of constant relying on the quality of every raw material (as in traditional structures), makes our prefabricated farmhouse more superior. The prolonged exposure of raw materials to uncertain conditionals as in traditional construction makes them unreliable for a healthy construction. Materials like bricks, cement mix, steel, breeze-clocks often exposed to corrosion, harsh weather and pollution, for weeks and months, which degrades their core quality to an extended level. Contrarily, all our pre-engineered components considered as the best, due to their lack of exposure to erroneous elements. Our robust procurement method ensures the quality of the final product and we never cease to provide fine components. All our products come with undistorted sizes and measurements, qualifying them as Industrial Graded goods. Plus, our pre-engineered structures offer protection against fire, pollution, and electrocution, allowing optimum safety for you and your family. It doesn’t take an expert analysis to infer from the above regarding the results one might expect from our prefabricated farmhouse. A strong core offers extensive protection against the harsh weather and natural calamities as heavy rain, flood, cyclones, and earthquakes. Planning a traditional farmhouse requires months of planning along with months of arrangement and add the time consumption for construction, you will get the end-results within a year. However, with our prefabricated farmhouse, you can have them done within a couple of weeks. All you have to do is pick up your phone and call us. Then mention us your intended design and we will have them delivered at the site before time. All our components come from a specialized manufacturing facility after a rigorous test procedure. As a result, you don’t have to do months of waiting or planning. Moreover, we offer a free consultation and layout-picking session. You can pick your favorite prefabricated farmhouse layout from our collection, rather than hiring an architect. Maintaining a traditional building requires a similar amount of money closer to the construction cost. Periodical refurbishments, cleaning, partial demolition, additional constructions etc. takes up a lot of time and money. Whereas, with our prefabricated farmhouse, you don’t require such hassle processes. Our durable material gives optimum performance for decades without showing any sign of corrosion, structural abrasions etc. Stronger construction and higher endurance are some of the few essentialities that our prefab structures come with. So don’t wait up. Pick up the phone and call us to build your desired farmhouse within weeks. Our years of experience has enabled us to provide prompt delivery without any compromise in quality. Since 2017, we have remained at the forefront in delivering high-end products to our wide range of clients across India and Overseas. 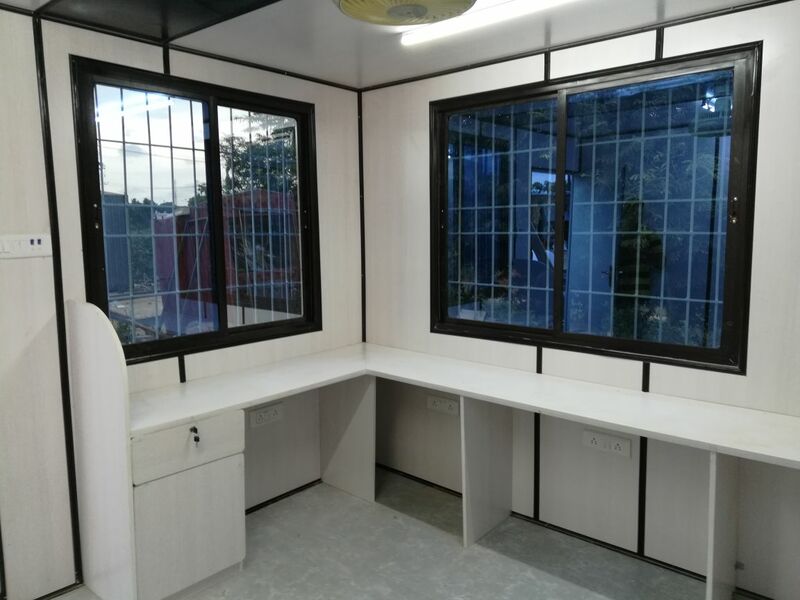 Our team of content office manufacturer at SAMAN POS India Pvt Ltd, helps in building a premium quality container office at an affordable price. If your business comprises transporting from one place to another, then you might go for a pre-engineered office. If you want to install a prefab container due to its sturdiness and budget-friendly cost, then you can customize the building material into your preferred shape. Also modular offices follow the accelerated depreciation process, which enables users to save a lot of money in the long run. 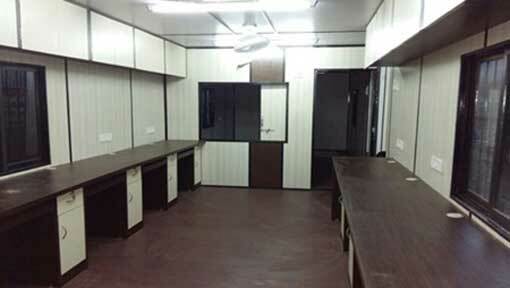 Our Container Office Manufacturer offer a platform with ample of office space and personal storage for a large number of employees. Our easy to install buildings are modified to accommodate any size of workforce. Lighter and transportable, all our prefab structures fits effortlessly in all locations and exceptionally durable to endure any climatic condition. All you have to do is contact us and provide a few details about your requirement. Our team will inform you the exact requirement and set the best deal you will ever find anywhere else. Since our origin, we have relentlessly tried to keep up with the industry standard and manufacture impeccable quality prefabricated structures for our large customer base across India and abroad. To keep us ahead among competitors, we have incorporated our products in compliant with International safety standard and serve them to our clients after running the end-products through robust testing process. Our prefabricated buildings go hand in hand with the existing demand of the industry and customers. We have a team of professional designers who work relentlessly in taking your idea and transforming them in the best form of construction. 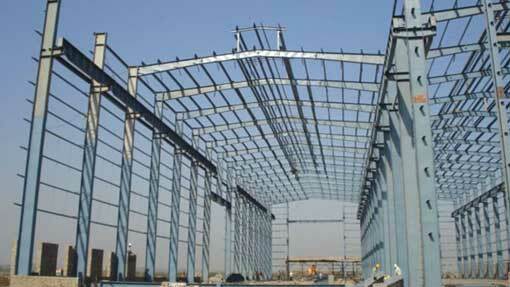 Substructure design plays a substantial role for a company. With an accumulative number of utilities and modern equipment to work with, you need a modular office that can accommodate all the necessary technical requirements. Whether you want to install a TV, build a closet or set a portable toilet, our container office manufacturer helps in planning the structure and build a customizable container office. 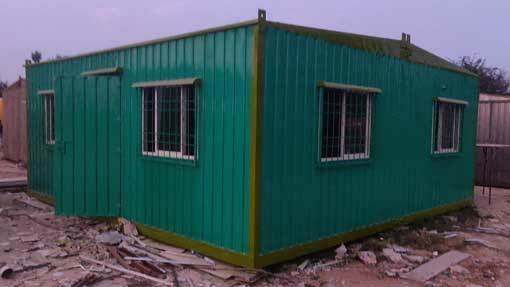 At SAMAN POS India Pvt Ltd we provide a container office that exceeds the quality from a regular modular structure. All our modular offices come with lavish interiors, that makes it strikingly distinguished from regular structures. 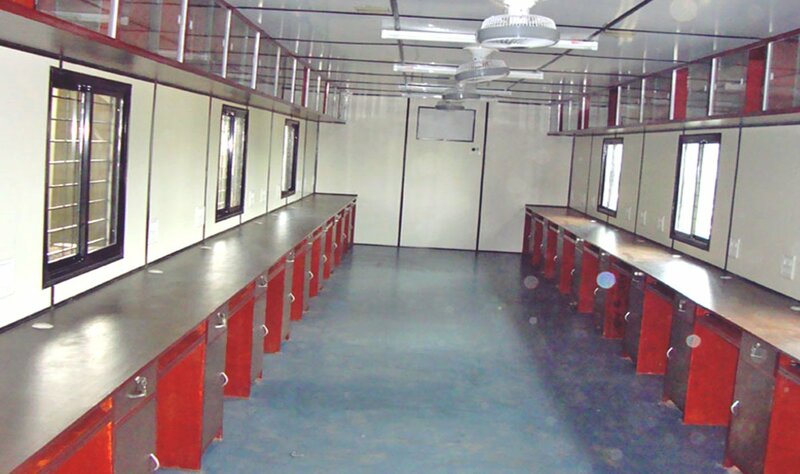 Our container Offices include a wide array of alteration features to offer optimum comfortability to your employees. Container Office not only represents a place to work but it also works as a temporary living space for your employees. Each time spends at a prefabricated office whether it’s for permanent or temporary purpose helps in generating happy memories, which often reflects in the work of your employees. Similarly, keeping your employees happy, can enable you to gain more commitment from their side. You can adjust our container workplaces as per your necessity. Just mention the size of the area and the number of the employees working under you. 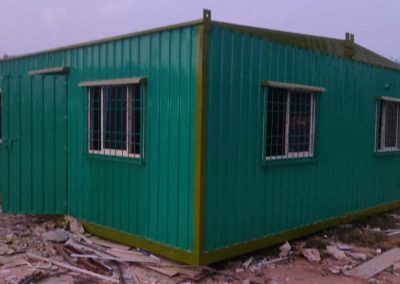 Our Container Office Manufacturer will develop an easy to install prefab office that includes ample of space and in-house amenities for your workforces. You can order a ground-floored office or multi-floored offices as well. No one like to come to work in an office that looks like a piece of Lego. 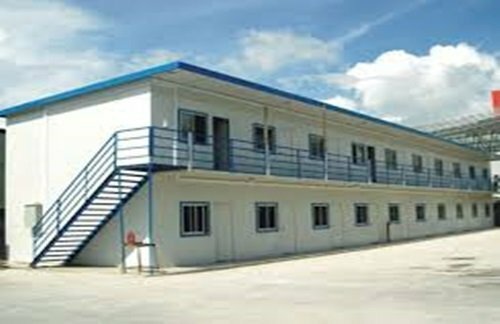 However, our Container Office Manufacturer helps in building an office that that gives a similar feeling as a traditional building. We at SAMAN POS India Pvt Ltd consider the matter and tailor your portable office in layouts which will allow you to install all the furniture and equipment as similar as a traditional structure. You can extend your office with more spaces, add a couch, a chair, a coffee table etc. When we think about Office, we think about a place where we can execute our tasks with full privacy. 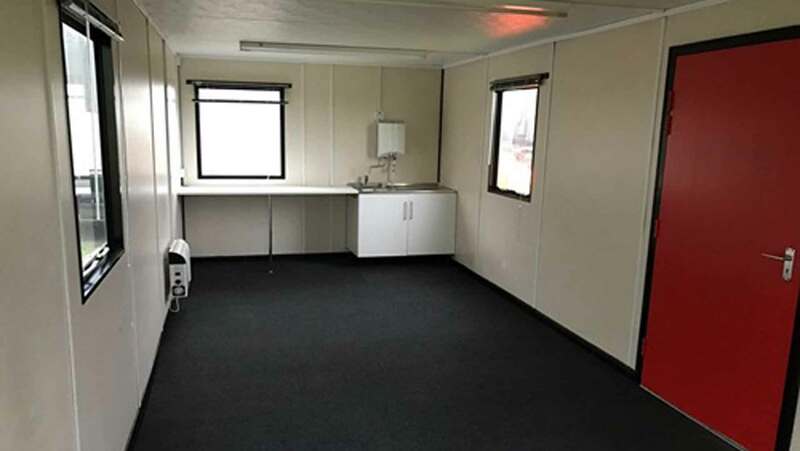 We offer secured and durable Container Office with private cubicles, en-suite bathroom facilities, restrooms and more. We also can develop detached private toilets; you can also ask us to install an en-suite bathroom inside each room. Made from pure ACP materials, our Container Office are noiseless and provides the same ergonomics as a traditional Office. With our modular structures, your workers will enjoy the similar privacy which they used to enjoy at their homes. We allow you to design an exclusive Office that includes a wide range of facilities. Our portable offices are easily transferable to every remote location of the country. You can easily dismantle them in smaller parts, and transport them to your destination without any worries. At SAMAN POS India Pvt Ltd we offer high-end designs that include pre-installed bathrooms, , toilets, tables, chairs, couches, and other equipment. Are you looking for customized Container Office for hassle-free accommodation for your employees? Then wait no more and check out our various layout of Offices at an affordable price. Get the best deal of your life at SAMAN POS India Pvt Ltd. Give us a call or visit our store, tell us your requirement and get a price quote instantly. 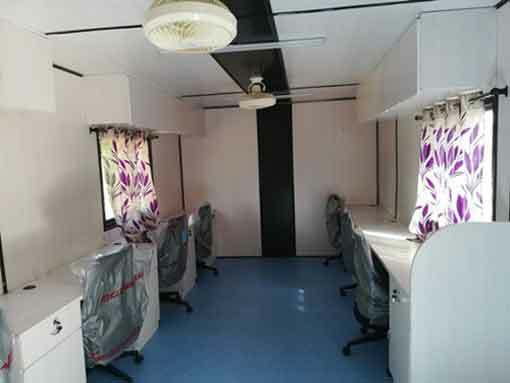 We are a legal manufacturer and supplier of prefab offices in India. Feel free to call us if you need more information. Being at the forefront among top pre-engineered infrastructure builder, we use eco-friendly and highly durable ACP materials. Create your dream container Office with just a matter of a few days rather than wasting months. We offer bulk manufacturing for residential and commercial purposes: no hidden charges or any additional costs. Order up front and get it customized manufactured within a short duration. SAMAN Portable offers premium quality container homes for residential and commercial sectors at a competitive marketing price. Since 2017, we have established ourselves as the prime supplier of certified ACP container structures, procured through sophisticated manufacturing and robust testing process. We a regular supplier of container homes to major organizations and helps them established an extensive lodging facility for their workers. 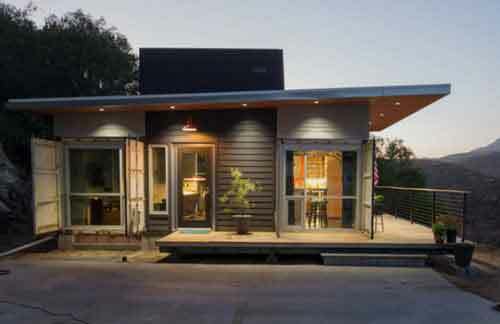 Installing a prefab home neither require a massive workforce nor it demands any land permit. All you have to do is prepare a setup ground and the rest falls right into place. Since decades, developed countries have stepped into the path of eco-friendly structures and taking a step towards a cleaner and greener world. Following the footstep, we at SAMAN Portables have dedicated ourselves by introducing our wide range of container homes, which are manufactured using sustainable raw materials. For a long time, people are opting shipping container due to their versatility and ability to fit in all places and circumstances. Lighter in weight and ease of migration, our container homes hold a great demand among organizations whose core works relies on constant transportation. Our container/prefab/ pre-engineered homes don’t require any complex transportation method, rather all you have to do is load them on a truck, and take them anywhere you go. Just make some modification with the piper and wires and you will save a lot by Reassembling a container house all by yourselves. As you know, container homes are mostly used for shipping purpose, they are naturally built keeping in mind the sordid climate conditions in the sea. Furthermore, manufacturers are strictly instructed to follow the standard code of safety while manufacturing container homes. As a result, you will receive an end-product which possess the ability to withstand natural calamities like hurricanes, tropical storms, flood, and even earthquake. Roughly 85+ percent of the world’s trading happens through shipment container and up to hundred million containers lay unused at the yards after a couple of uses. Compare to sustainable resources like bamboo, the unused containers idly stacked up to 10-12 height, practically blocking the sun, wind along with impacting the lifestyle of residents. So rather than letting the containers rot, manufacturers use them as core raw materials and develop them into durable container homes. It’s always better to repurpose the usage of raw materials rather than disposing of them. At SAMAN POS India Pvt Ltd, we offer a varied range of customized options for our clients. All our container homes come with a smooth wooden-finished exterior that escalates the elegant factor of the house and make the exterior look cool. Our wide range of container homes consists of different shapes, sizes, and layouts, catering to the needs of every type of customers. You can choose a single ground-floored house or either create a stack of bunkhouses as per your choice and demand. If the price is your primary concern, then we would like to consider the investment you put in a traditional structure. The amount incurred while building a brick & mortar building includes the cost of the workforce, raw materials. 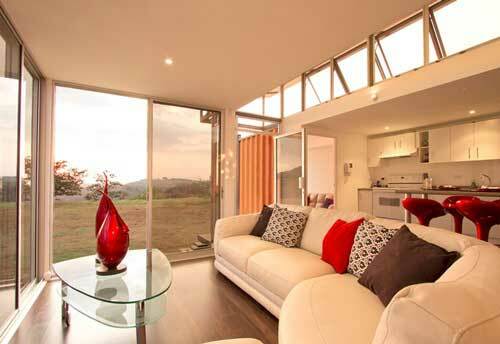 However, as our container homes come pre-manufactured, you don’t have to pay for any raw materials. 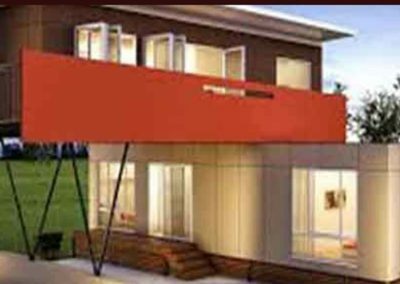 Furthermore, the easy-to-install features of our prefab homes eliminate the need for hiring a large team of workers and paying them periodically. While building a traditional structure costs you a tremendous amount of money, our container homes come at a price as low as Rs 1100 per.sqft. The downside of a traditionally built home mostly occurs during transportation. As they are permanent, you can’t take them with you, and the only choice you have left is to sell them or demolish them. On the other hand, our container homes are quite convenient to carry everywhere you go. As a result, you don’t have to follow the same rigorous process of building new houses and continue the cycle of demolition after every task. 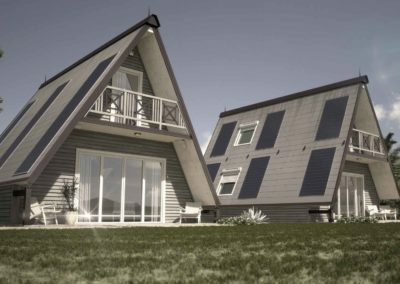 As our container homes come with foldable options, you won’t have to be a rocket scientist to install them. If we compare time consumption, then also our container homes take the cake here. In average, building a traditional structure may take months for completion plus the furnishing period. 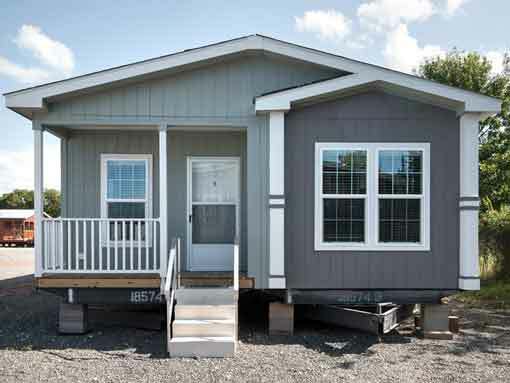 Meanwhile, our modular homes consume hardly 4-6 days to offer you a flawless finish. Moreover, we can customize your pre-engineered home for seamless installation of furniture, portable toilet, furniture, beds, racks, air-conditioning vents, ventilators and many more. Building a structure is only the start, the real challenges occur during the maintenance phase. Regular interior decoration, refurbishing, rewiring, painting etc. are some of the basic maintenance requirement of every traditionally constructed house. Thankfully, with container homes, one can simply work for a lifetime but still doesn’t have to worry about its durability. Made from premium grade material, the pre-engineered home has the capability to retain the rigidity and interior charm of the place for a long time. Remolding entirely depends upon the size of your business and the growth factor of your business. Construction of addition residential or commercial space requires a significant amount of financial requirement. On the other hand, our container homes from SAMAN Portable are easily extendable or dismountable and rearranged as per the requirement of the users. With our product container homes, you will have the opportunity to imagine your dream home and share them with our creative team. Our team of skilled workers’ relentless works to bring your dream into reality and deliver them at your doorstep before you know it. Contact us through our customer support number or mail us for knowing more details. You can also visit us at our store and have a brief discussion with our team. We, SAMAN POS India Pvt Ltd from 2017 are one of the famous Manufacturer and Supplier of a wide array of Portable Office Cabin, Portable Shop, Portable Container, Container homes etc. This range is precisely manufactured using the best quality raw material and contemporary technology under the guidance of skilled professionals in compliance with the set quality standards. Also, our products are acknowledged for their features like robust construction, optimum efficiency, optimum quality, reliability, and durability. 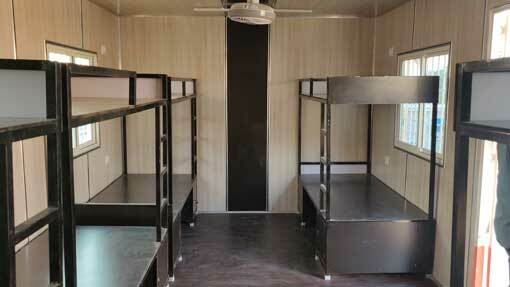 As per the requirements of the customers, these offered customized and portable cabins can be customized. Spread over a wide area, we have established a huge infrastructure facility that is known for carrying out standardized operations. By segmenting our infrastructure facility into several units, we ensure that all the on-going processes are carried out in the most streamlined way. Known for its high production capacity, our infrastructure facility is upgraded on the regular basis in order to meet the various requirements of ever-changing market trends in the most efficient manner. Under the valuable guidance of, “Mr. 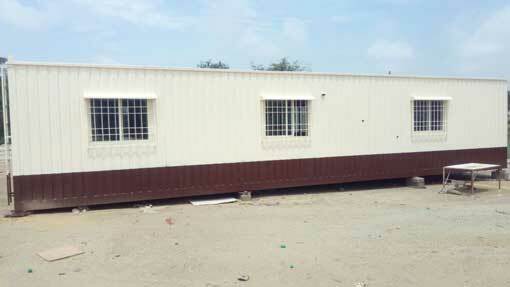 Alam Khan”, we have been able to meet exact requirements of clients by supplying container homes in the most efficient manner. His sharp business acumen and rich industry knowledge help us to evolve as an eminent name in the industry. Porta cabins, office cabins and container homes are such product where you are able to save the both time and 30 to 40% bugs. Call us for a quote and customized designs, our expert team will make it easier for you. We always look for best possible ways and make right efforts to reduce your project’s budget. 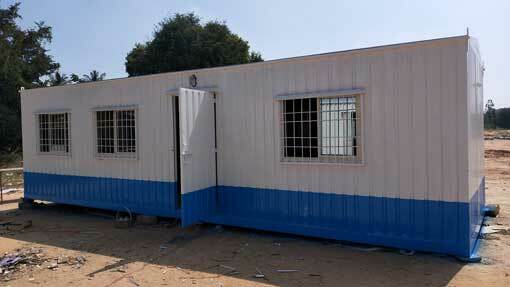 Porta cabins and container offices are most convenient product because of mobility and multi-purpose usability. SAMAN POS India Pvt Ltd is a technology motivated organization recognized for supplying premium quality Pre-engineered buildings in India and Overseas. Our customized pre-engineered structures confirm stability, portability, and affordability for customers belong to residential and commercial sectors. 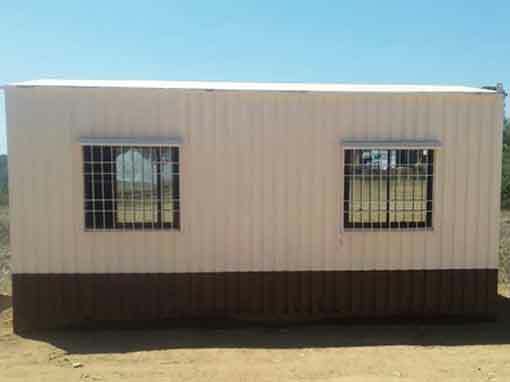 Also, our prefab structures are broadly used for mobile homes, container houses, warehouses, cafes, farmhouses, hotels, porta toilets, security cabins and many more. Adhering to core values, customer satisfaction and uncompromised quality of products is what made us a reputable organization in our respective field. Likewise, we have constantly maintained a strict code of conduct, reliability, and transparency while implementing our services. As opposed to the myths about prefabricated constructions among the customers, our products are extremely durable for long term usage. The uniqueness of our products includes features which you hardly find somewhere else. Legally, all prefab developers have to follow the preset safety policy set by the Government. Sadly, builders of traditional buildings don’t have to follow the rules, which makes them vulnerable compared to pre-engineered building. From accumulating raw materials till installation, the accuracy we upheld is undeniably greater to any traditional building. Our delivered buildings contain exceptional raw materials including ACP as core materials, which is identified for its brilliant properties like corrosion resistant, water resistant, extreme durability, impact proof, etc. Merging the excellent features of ACP, with modernistic technology, the end-products we distribute can effortlessly tolerate the severe climatic conditions of India. Our container buildings are treated with corrosion resistant solutions and constructed with durable materials, that can survive against heavy rainfall, hailstorms, hurricane, cyclones, and earthquake. Our deliverable pre engineered building are constructed by targeting the improbable weather of India. Your work might include traveling various parts of the country, which comes with different climatic roadblocks. It’s a perfect product that ensure the safety of you and your employees in disastrous weather irregularities. With a fruitful partnership with reliable vendors and manufacturers across the country, we have established a strategic marketing influence. All you have to do is call us or visit our office. Then provide your design or you can consult our in-house professionals for assistance. After the approval of design, we deliver the product at your site with a couple of weeks. As oppose to traditional constructions, our vendors don’t run out of stocks neither we charge a heft price for capitalizing the market situation. At SAMAN POS India Pvt Ltd, we have always followed an eco-friendly method and we would highly appreciate if our customers join us in this green initiative. Imagine the amount of debris, chemicals, and dust involved during the on-site work involved in traditional construction. In a world where carbon footprints are significantly contributing to global warming, our prefabricated buildings are an ultimate way to take a step towards a greener world. 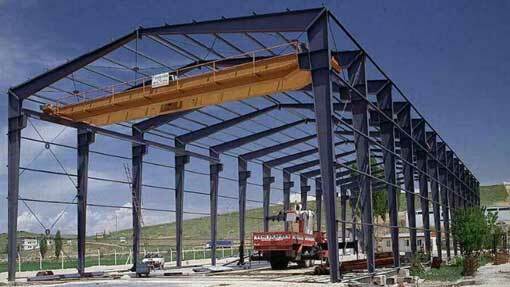 All pre engineered structures are manufactured at off-site locations. Therefore, it eradicates the requirement of on-site work. Now you can install a portable cabin without causing any disturbance to your surroundings. If your work involved traveling and installing Pre Engineered buildings in different regions of the country, then it’s not just the weather but bacterial infections is also something to deal with. We help you shape a customize structure coated with our advanced anti-bacterial neutral silicone paint, that protects you from insects, bacteria, snow, dust, and water. Our end-products offer an outstanding hygienic plethora for keeping your workforce safe and healthy. Constructing a permanent structure is impossible to move and building them requires a tremendous amount of early investment when compared to prefabricated buildings. Some on-site costs you have to pay includes land permits, hiring labors, accumulating raw materials, renting, etc. You can evade all the costs by going for portable cabins instead. As all our products are made off-site, you will save a lot of money which you were accountable to expend on on-site construction works. As you can transport prefab cabins anywhere you go, it also removes the necessity to build new buildings in a temporary location. Whether you build new buildings or remodel them in future, it frequently takes months to implement the develop them completely. From planning till accomplishment, every small effort in traditional structures asks for supervision, money and time of the developer. Well, with our pre-engineered structure, life becomes quite easier. Its only takes us a couple of weeks to get your design legally approved. However, we always have a quicker selection for our customers. You can choose from our wide range of pre-approved designs and increases the speed of the manufacturing process. So, just wait a couple of weeks and get your order transported to your doorstep. Unlike a traditional structure, you don’t have to spend on labor costs, nor you have to demolish an existing structure for modification. Not only us prefabricate structures makes it feel like home for you and your employees, but it also gives you an appearance of a luxury yes. With a few alterations, we can transform a Pre engineered buildings into a full-fledged home. You can add a glass door, a glass window, bunk beds, in-house restrooms and many more. If you want we can support with manufacturing you a perfect home or office, that attracts people passing nearby. However, it may look so similar to the traditional building that, no one could ever guess they are inside a home of the next generation. If you are looking for building a premium range of Pre Engineered Buildings, then feel free to ask your queries and we would be love to help you.